NamicSoft has full support for creating reports from Nessus scans. Below are a sample of features which is supported when creating Nessus reports with NamicSoft. 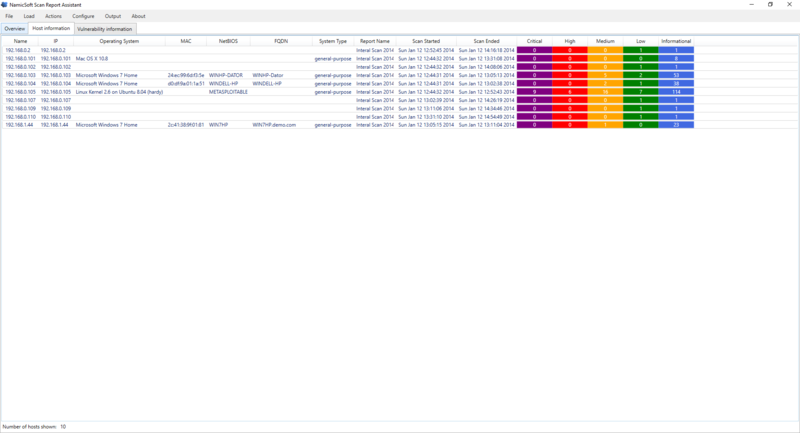 The NamicSoft GUI provides a dashboard where you will see an overview of your scan results. You can also see hosts with the most vulnerabilities, the most common vulnerabilities, the most common remediations/solutions and the most exploitable hosts. Create Word reports from your Nessus scans. Use one of the provided templates or build your own customized template. Merge Nessus scans easily by using the NamicSoft GUI. You can also merge your Nessus scans results by IP, FDQN or a custom list. Compare Nessus scans and get the differences in an Excel spreadsheet. 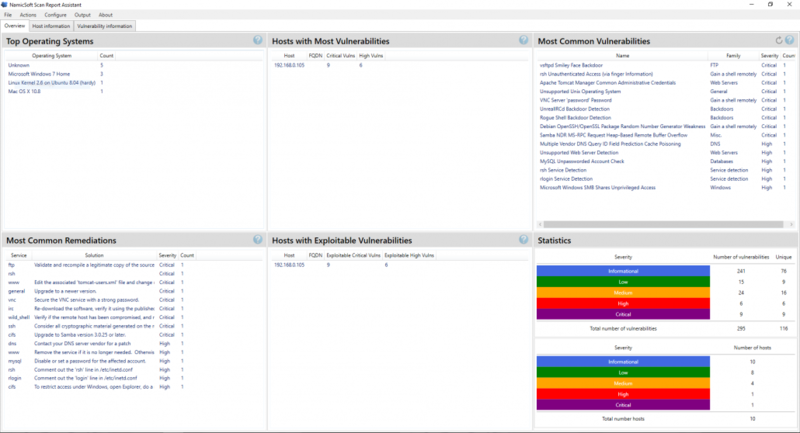 You can see new vulnerabilities as well as fixed vulnerabilities. Export your Nessus scan results to an Excel spreadsheet. You can choose which columns to include/exclude and also change column names. Use the command line interface to automate your creation of Nessus reports in Word, Excel or SQLite. Use the rewrite output function to change the output from Nessus to comply with your company standards. You can also use this feature to translate Nessus scan results into other languages.